Kolhapur is a city situated in the state of Maharashtra on the banks of Panchaganga River. It is known for its famous Shri Mahalakshmi Temple. It has a vast cultural and historical background. The major economy of this city is derived from industries like textiles, leather, and handicraft. You will find many leather shops with various items in the market. Many tourists visit this city. Apart from tourism, agriculture is also a source of income in Kolhapur. If you are from Kolhapur and are looking for a short term loan, you can now easily take one. There are many personal loan apps available in the market. 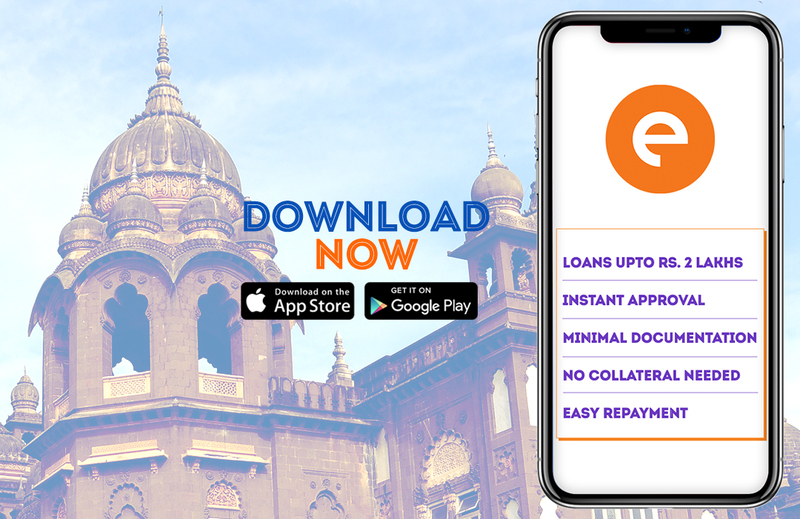 You can apply for an easy loan via such apps online. These loans have many benefits compared to traditional loans. It has become popular due to its speedy process and easy application. The transaction is entirely cashless and hardly takes 15 to 20 minutes. The interest rates offered on the easy loan are less as the duration is short. People take short term loan for various reasons such as medical emergencies, to cover immediate home repair or car repair expenses, to buy a new phone or to a new car. People also take a personal loan for balance transfer and debt consolidation. Your reason for taking a personal loan can be anything. If you are wondering how to apply for a personal loan online, follow these simple steps. Go to your apple app store or google play store. Download one of the easy loan app like CASHe. Register yourself on the app via your social media logins. Enter your basic details like name, number, address, and bank details to complete your portfolio. You can then enter your desired short-term loan amount. You can see your eligibility once you enter the basic details. It ranges from ₹10,000 to ₹1 to 2 lakhs. The duration of the loan can be 15, 30, 60 or 90 days. You need to submit the required documents for an easy loan from your smartphone. The app will then review your loan request. You can check your loan status on the app. Once the loan is approved the amount is transferred to your personal savings account within a few minutes. Once you understand how to apply for a personal loan, the next step is to understand the documents required for the same. You need to submit your identity proof, address proof, and your income proof. You can submit your pan card, aadhar card, passport, driving license, utility bill, and rental agreement. For income proof, you have to submit your 3 to 6 months’ salary slips of a registered employer. To avail a short term loan you need to submit your bank statements with salary credited. You have to be between 23 years to 58 years old to be eligible to apply for a short term loan. Also, you need to be a resident of India. You can repay the personal loan via bank transfer or by depositing a cheque.